Executive Funding was founded in 1998 by Rick Packer as a national commercial property lender. 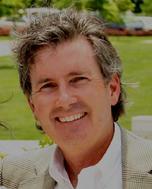 Rick Packer has over 30 years of commercial real estate experience. Starting in 1983 as an investment specialist with Century 21, running through the RTC days with Coldwell Banker Commercial and then on to run his own company, Packer Real Estate Services. For the past 15 years, Rick has focused on commercial lending. Executive Funding operates as a boutique lender, bringing our clients together with the best capital sources to fulfill their loan requirements. Our primary lending platform is based on both the refinance and purchase of multifamily properties. We also offer a broad selection of loans for other commercial product types including industrial, office and retail. For the past several years, Executive Funding and their lending partners have loaned more than $1billion dollars annually. We cover markets across the Country and have specific loan programs that address different markets.